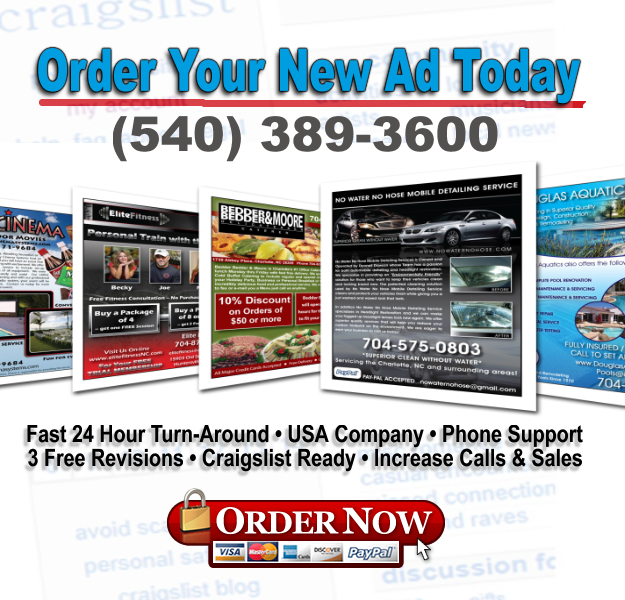 If you do not use craigslist yet to advertise your business or service, now is the time to start. It’s free to post ads and you can bring in a lot of extra business and contacts. If you already advertise on CL then you already know Display Image Ads on CL get way more attention and stand out way better than text ads. There are many categories on craigslist that you can post a free classified ad for your business offering or business related ads. Craigslist gets over 50 BILLION page views a month and over 60 Million visitors per month. It is the 14th most visited site in the USA, Facebook is #2 (You can also use your ad on Facebook Groups, Pages, and your profile! ).